DnBuster's Place: Incredibundles ~ The Ultimate Baby Gift Giveaway!! Incredibundles ~ The Ultimate Baby Gift Giveaway!! Incredibundles is an AWESOME site where you can purchase baby items in Bundles! From toys to diapers and even books! For every stage for BABY! At this time They are having a great giveaway that anyone would like to win!! 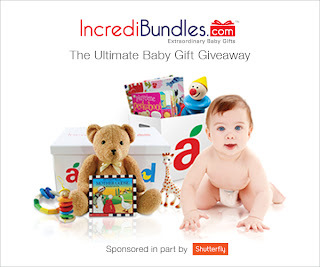 Its the IncrediBundles.com The Ultimate Baby Gift Giveaway! This giveaway will be for a years supply of diapers, toys and books with a retail value of over $1000!! The giveaway will run from 7/15-7/29. disclosure~ This is a sponsored post. I received a GC to compensate me for my time.